Kick back and relax with the casual vibe of the Zorah Chocolate Ottoman. This Ottoman is covered in a soft polyester velvet in a chocolate color. In addition, it incorporates traditional styles that will brighten your decor and make it easy to relax. Kick back and relax with the casual vibe of the Zorah Chocolate Chair. This chair is covered in a soft polyester velvet in a chocolate color. In addition, it incorporates traditional styles that will brighten your decor and make it easy to relax. 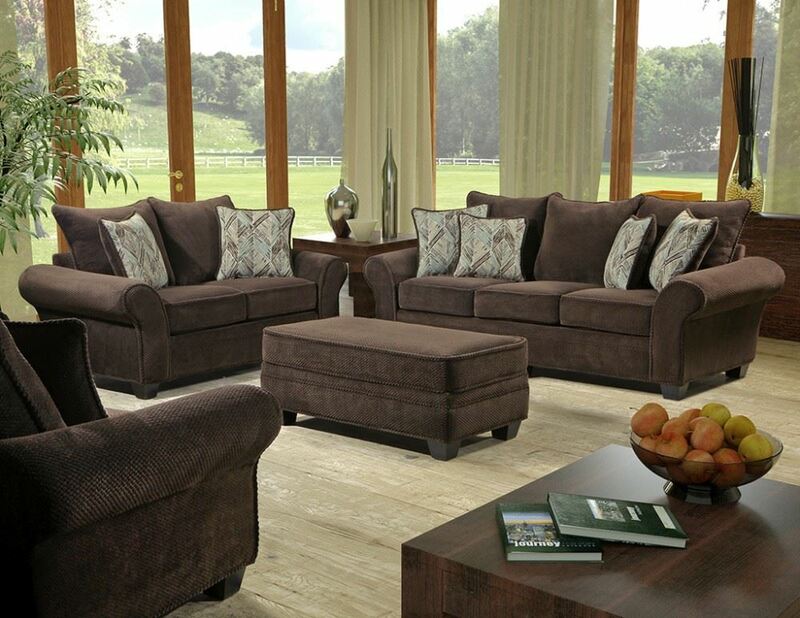 This Zorah Chocolate Sofa will transform your home like you never imagined. With it's unique style and quality constructed, your guests and family will love. This sofa is covered in a soft polyester velvet in a chocolate color. In addition, it incorporates traditional styles that will brighten your decor and make it easy to relax.